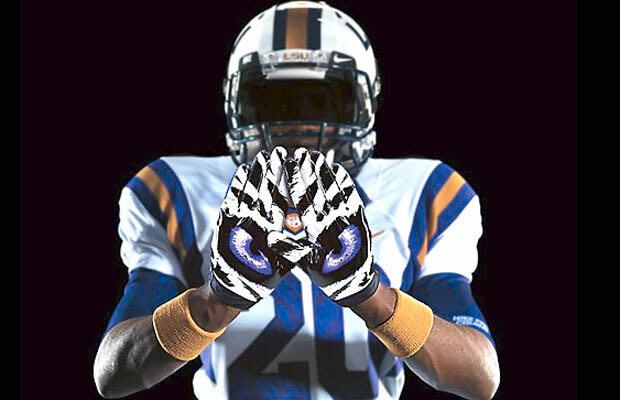 Although all Pro Combat uniforms have special gloves, LSU's are easily the coolest. Most just have a letter or the school emblem, but LSU has terrifying tiger eyes that pierce anybody who takes a glance. The rest of the uni is put together nicely as well. The stripes and accents don't allow the white to dominate and the styling of the numbers maintains a traditional college football look.